The Skagit Spartan Hockey Club (SSHC) encourages development of all ages by providing opportunities for personal improvement and teamwork growth. SSHC promotes sportsmanship, self-esteem and the development of life skills through rink hockey while providing safe, healthy, positive environment where players of our community can learn the fundamentals of sports and teamwork. 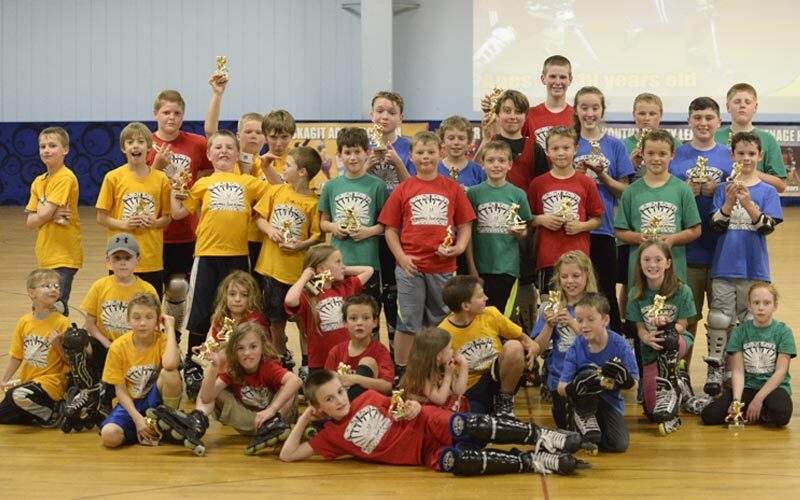 The Skagit Spartans Youth Roller Hockey League is for ages 6-12 years old with various skill levels from beginner to advanced. The youth league plays on Saturdays from 5-7pm. The Skagit Spartans Teenage Roller Hockey League is for ages 13-19 years old with various skill levels from beginner to advanced. The teenage league plays on Mondays from 6-8pm. The Skagit Spartans Adult Roller Hockey League is for ages 20 years and older with various skill levels from beginner to advanced. The adult league plays on Mondays from 8-10pm.